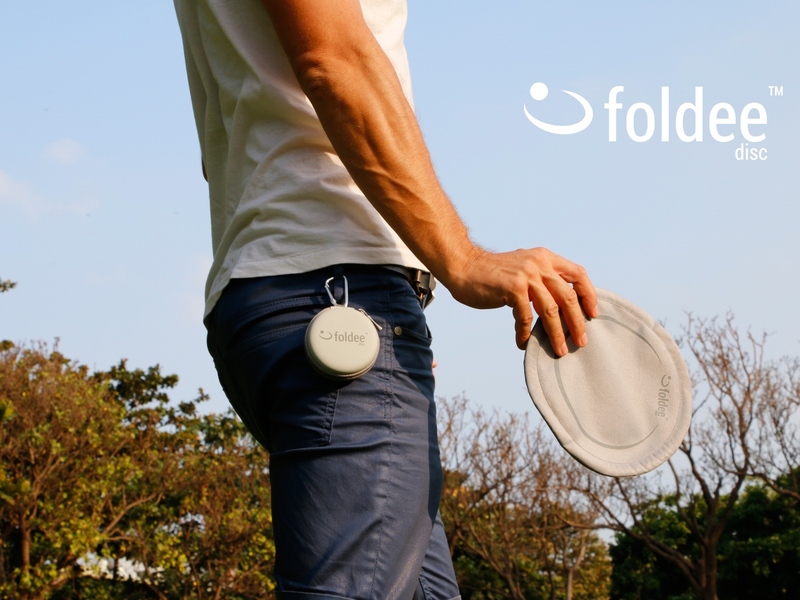 Foldee has completed its successful crowdfunding campaign, and with over 450 backers from around the world pre-ordering on Kickstarter, Foldee is keeping the momentum soaring on Indiegogo InDemand. 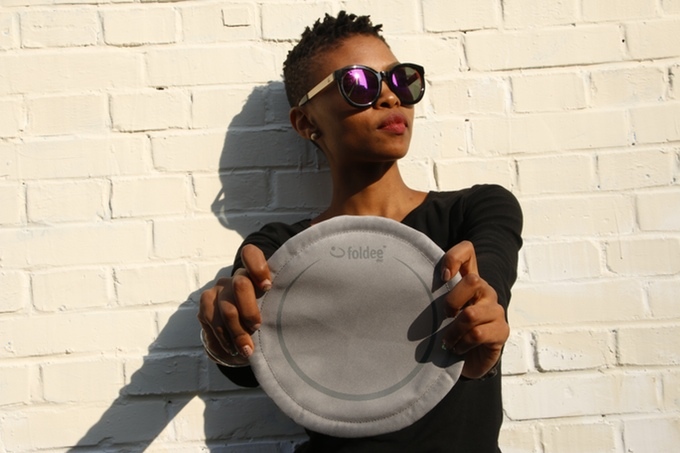 Foldee Disc™, the portable folding flying disc that’s fun for anyone, anytime, anywhere, is celebrating its crowdfunding success on Kickstarter by continuing to offer consumers pre-market savings on Indiegogo InDemand. Indiegogo InDemand is designed for successful crowdfunding campaigns to continue to fulfill demand and take pre-orders from new backers. 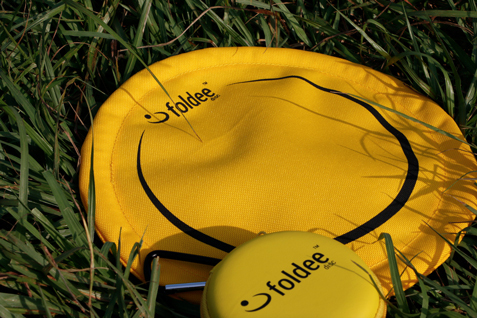 Foldee’s Kickstarter campaign more than tripled its goal with over 450 backers pledging to become the first owners of a Foldee Flying Disc. 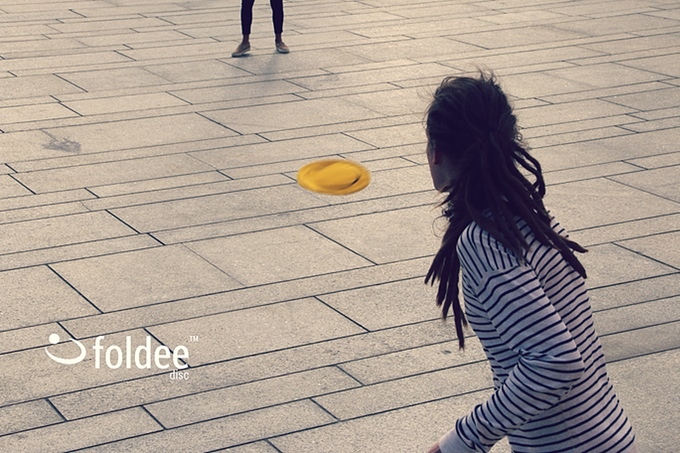 Foldee is an innovative soft flying disc that’s great for all ages and skill levels because there’s no risk that players or bystanders will get hit by a hard piece of plastic. 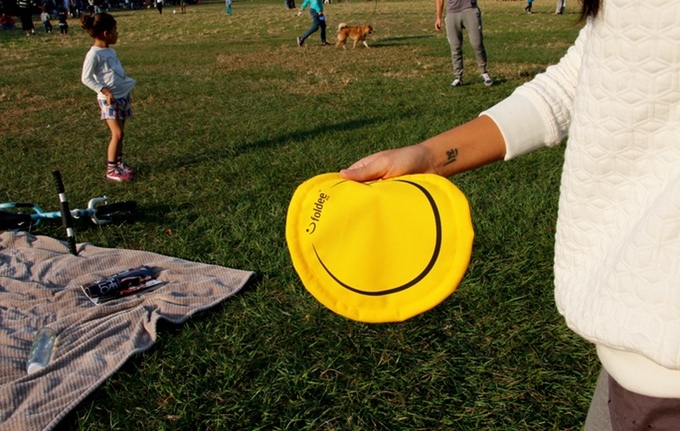 It soars extremely well, comes in bright colors for easy visibility, and collapses upon contact making it safer and easier to catch than a traditional disc. It’s also very portable with tiny carrying case that can be tucked away in a pocket or clipped on a belt or backpack. The Foldee Disc was created with the goal of encouraging people to have fun anywhere while enjoying the outdoors and staying active. Behind the simplistic appearance of the Foldee disc was extensive testing of aerodynamics with various material compositions in search of the perfect balance in materials and disc diameters for optimal performance and optimal weight. This research paid off with a perfect combination of impressive soaring capabilities and easy and safe catchability. Foldee was designed by a group of friends who always spend time together in parks, cities and beaches. The founders and developers are all from the action sports and outdoor leisure industries and they have combined their talents and experience to create the ultimate folding flying disc to provide endless fun for anyone, anytime, anywhere. For more information please visit http://www.foldeedisc.com/.